VR has come of age, but current solutions require a long cable tether between the head mounted display (HMD) and the gaming PC or console. 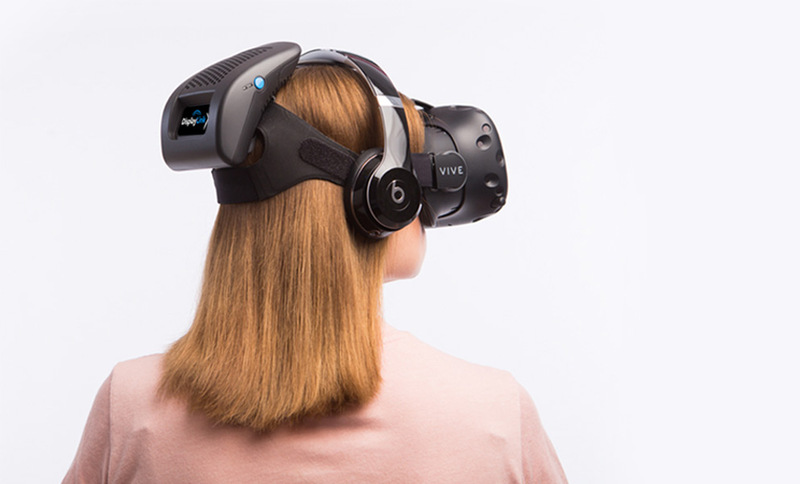 Wireless display connections enabled by DisplayLink XR technology allow VR and AR users much greater freedom of movement and will unlock a whole new range of applications in gaming, simulation, education, and commerce. 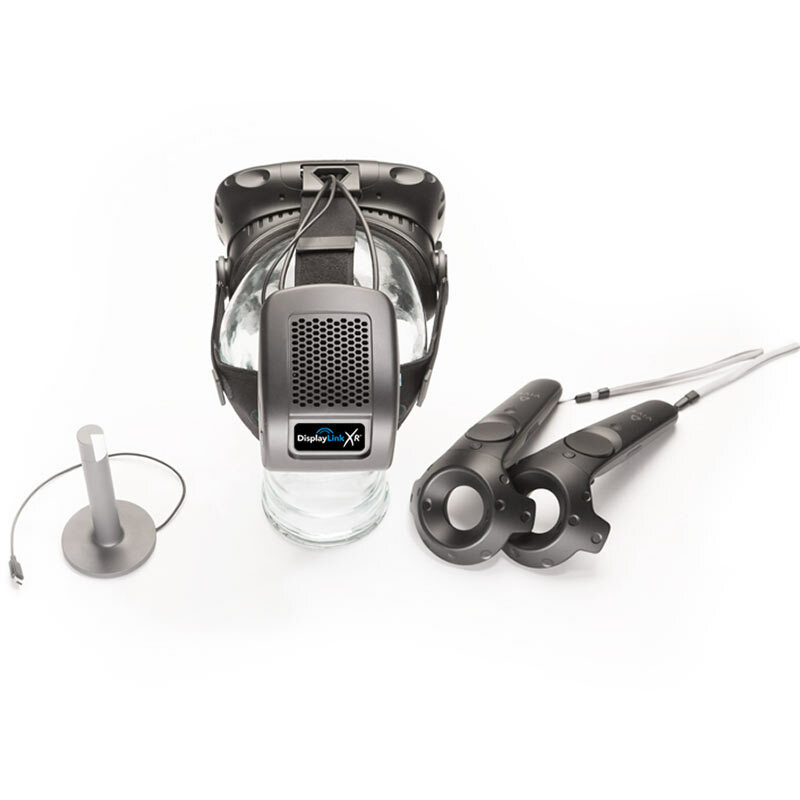 DisplayLink XR has been developed specifically to deliver a wireless connection between the VR Head Mounted Display (HMD) and gaming PC or console, without compromising on video quality, latency, or frame rate compared to a wired solution. This is a big challenge since the video data rate on first generation VR HMDs is already four times greater than that of a high definition TV and too much for any wireless link without compression. However, most standard compression systems such as MPEG create a delay in the video stream, and if the end-to-end latency through the system (which includes sensing head movement, generating all the pixels in the next frame in the VR scene, and streaming the video) moves beyond about 20ms, the user will start to feel motion sickness. DisplayLink XR matches our unique approach to video compression with deep technical partnerships with leading wireless networking companies. Despite the high video data rates demanded by VR applications, DisplayLink's compression system can maintain the resolution, quality, and frame rate of the VR video stream but with no discernible increase in latency compared to a direct connected display. This is even true when fast head movement might cause the radio link to momentarily fade. DisplayLink XR builds on over a decade’s experience developing products where users needed to connect a computer, smartphone or tablet to a display across a standard wired or wireless connection such as USB, Ethernet, WiFi or WiGig. Its latest DL-6000 range of chipsets supports dual 4Kp60 displays with latency that is indiscernible from a direct connected display, while maintaining very high image quality, even in fast-moving scenes. DisplayLink's customised DL-8020 chip supports 4K resolution VR displays, enabling VR headsets with up to 4 megapixels per eye resolution, driven from a single DL-8020. (First-generation VR HMDs such as Vive and Rift support 1.3 megapixels per eye at 90 frames per second.) Combining massive video bandwidth, very low latency, and a highly integrated single chip solution, the DL-8020 is ideally suited to Gen 1, Gen 2, and Gen 3 VR applications. See DisplayLink wireless VR in action. DisplayLink has more than ten years' experience developing networked display solutions for interactive applications where low latency is a must. We're also familiar with wireless display solutions using many different types of wireless networking technology.